The Sith Lord stands in contemplation, the Death Star floating in the background. 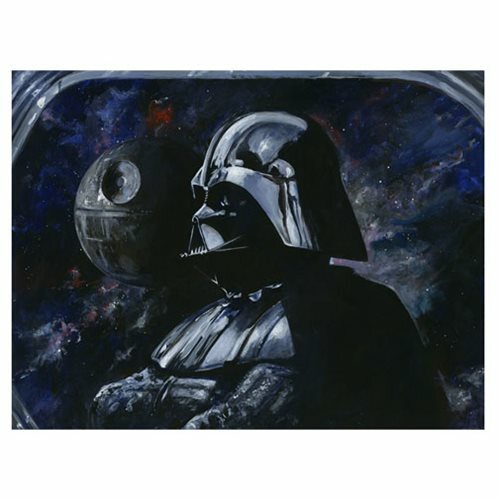 A limited edition of 95 pieces on canvas, hand-numbered and signed by the artist, this Star Wars Sith Lord by Kim Gromoll Canvas Giclee Print is a must-have for the Star Wars fan in your life. Measures 21-inches wide x 16-inches tall and complete with certificate of authenticity!